4 sessions and and extra evening session for parents. 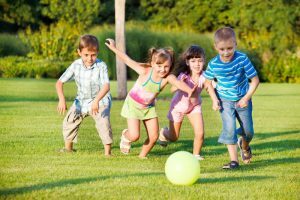 But experts agree that playing is as important to our children as the air they breathe. We give you the low down on the why and how and 7 easy play ideas for travelling. 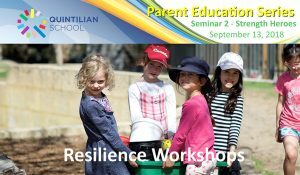 For those of you who are in Perth this holidays, we have holiday programs that will give your children plenty of ways to play, problem solve, develop resilience and discover new strengths, all of the benefits of play. And the best bit, all day classes and we clean up the mess! In this edition we also examine why a better relationship with people in your school community can lead to better outcomes for your child. Last week we were lucky enough to be invited to run our workshop “Developing Strengths in Children” as part of the State School Teachers Union of Western Australia. It was great spending the day with our early years educators who are passionate about play and committed to ensuring we dont let play in our classrooms go the way of the Dinosaurs. Marc Armitage, the key note speakere presented a very thought provoking talk. To find out what Iearnt Read More. Our popular school holiday programs give your child plenty of opportunities to create, play and try – mess guaranteed. 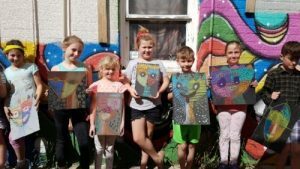 Workshops at Loftus Centre and The Artspace Collective. Teen Workshops – a day of movement and fun activities for the mind, body and soul to keep your teen girls (11 – 15) occupied on 28 September or 5 of October. Full or half day morning or afternoon available. We also have upcoming Parent child workshops so you can join in the fun and learn while you play. For dates, info and booking click here. Creative play while travelling NO mess guaranteed! In the last month as part of our partnership with Scarborough Primary School, we have been working with the school community to develop better home and school partnerships. Better communication starts with better relationships. In the last few weeks parent and staff have explored what good relationships, look, sound and feel like and why they matter. In a school community lots of relationships are formed. Have you ever stopped to think why relationships matter? Head over to our blog to find out and seven ways that will improve your relationships that you can start right away. Subscribe to keep up to date and receive 10% discount off your first course.